There is nothing like a vacation, away from work, family, and the stress of everyday life, to bring couples closer! That's why, whether city life is draining you, or your schedules don't quite match up, it can be crucial to get away, exposing your relationship to exciting activities and challenges, or indulging and just relaxing. This is the perfect opportunity to escape your every day and spend some quality time with your partner! Come journey with us through beautiful Bali! Allow the relaxing yet enchanting environment of the ‘Island of the Gods' to restore your body, mind, spirit, and relationship. During our journey, we will dive deep to discover what’s most unique about ourselves and our partners. 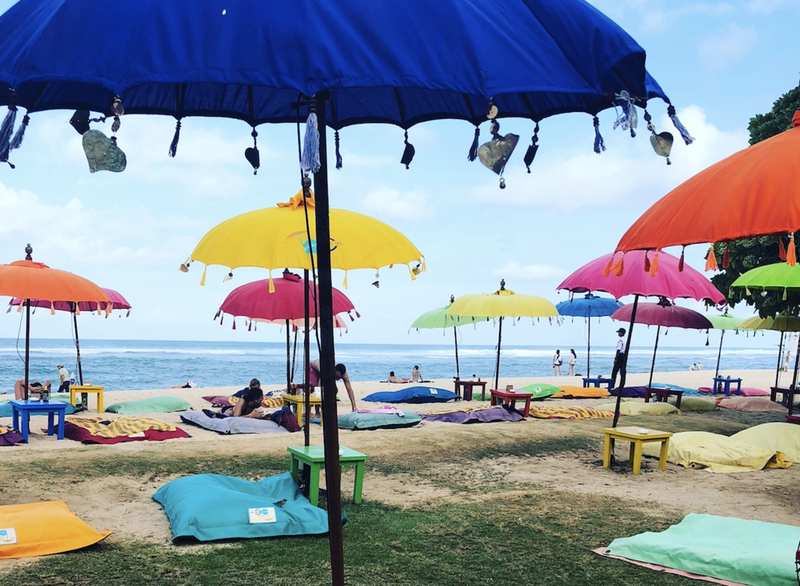 Through personal development teachings, guided meditations, Balinese healing sessions and thrilling adventures all over the island, Bali will transform your reality! Are you ready to nourish your body, mind, spirit, and relationship? Welcome home for the next 7 days. The gorgeous rooms at Gayatri will have you feeling like you're on your honeymoon all over again! -- Morning Yoga & Meditation offered daily Totally optional, but such a nice way to start the day! -- Couples Massage No explanation needed... this is the best! Many people on our retreats end up visiting the spas multiple times throughout their stay in Bali. There is a fantastic spa just across the street from Gayatri. From massage to body scrub to facial to flower bath, you will feel so relaxed after your spa visit! -- Personal Development & The Heart of Partnership Teachings These teachings will create an even stronger connection to who you are as a human and help to reveal even more of who you want to be! Based on the teachings of Alison Armstrong, topics include: Creating Partnership through Accountability, Holding Space & Creating Connection, Being Trustworthy & Courageous, Practicing Clarity, Consistency, Acknowledgement & Appreciation, Having Authenticity & Honor, Embracing the Art of Entrusting. Ubud... the charming city that we stay in for the first 7 days of our retreat. Amazing shopping, restaurants, cafes, and temples around every corner. Make it a "date-day" or a "date-night" everyday in Bali! Enjoy a cocktail and relax in the gorgeous Toya Devasya Hot Springs at sunset. -- 2 elegant dinners & 3 lunches with the group We have a gorgeous welcome dinner at Bridges (Rachelle's favorite restaurant in all of Bali!) Meet and mingle with your fellow retreat yogis. Lunches at more fantastic restaurants will be included on the days we go on excursions. And then we close our retreat with a beautiful sunset dinner on the beach. The rest of the meals will be on your own - can you say date night?! -- Sunset Hot Springs & Dinner at Bagus Jati Wow! This is will be such a relaxing and enjoyable afternoon and evening as we relax in the hot springs overlooking the lake, and go to a delicious dinner with the group at Bagus Jati (they have their own organic farm on site!). The Bali Swing!!! So fun to experience this with your partner. Everyone will be laughing by the end of the day! -- The Bali Swing & Coffee Tasting This is always a favorite among everyone as you let go of all your worries and swing out over the jungle! Couples can swing together and also have a turn by themselves. It is such a light-hearted and fun afternoon followed by a Balinese coffee & tea tasting.